Camposol has been recognized by MERCO (Business monitor of corporate reputation) among the 100 companies that are the most responsible and have the best corporate governance in the country in 2018. The Social Responsibility and Corporate Governance MERCO ranking measures the companies that are the most responsible and have the best corporate governance through a shared-diagnosis that valuates their activity regarding the Corporate Social Responsibility (CSR). The MERCO study is a world-reference tool with a multiple stakeholder assessment method that takes into consideration the participation of companies, NGOs, consumer associations, journalists, influencers, and social media managers. CAMPOSOL is a Peruvian multinational company that provides worldwide families with healthy food. It has operations in Peru, Colombia, and Uruguay, commercial offices in the United States, Europe, and Asia, and customers in more than 40 countries. 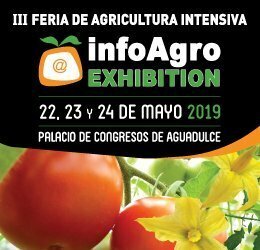 It is the leading agroindustrial and aquafarming company in Peru, the largest Peruvian exporter of Hass avocado to the American market, the largest independent blueberry producer and the largest shrimp producer in the country. It is involved in the harvest, processing and marketing of high quality agricultural and marine products such as avocados, blueberries, grapes, mangoes, tangerines, and shrimps, among others. CAMPOSOL is a vertically integrated company and one of the main employers in Peru, which has employed more than 17 thousand workers in high production season during 2018. It is committed to supporting sustainable development through social responsibility policies and projects aimed to increase the shared-value for all of its stakeholders. CAMPOSOL is an active member of the United Nations Global Compact, issues annual sustainability reports aligned to the GRI, and has achieved the following International certifications: BSCI, Global Gap, IFS, HACCP, OHSAS, ISO 14001, Rainforest Alliance, and BRC, among others. To learn more about CAMPOSOL, please visit them at: www.camposol.com.pe.